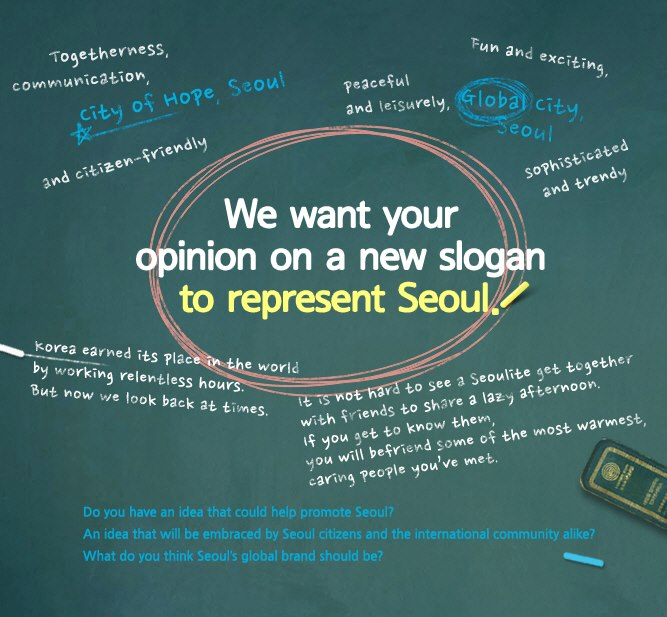 Seoul is crowdsourcing a new slogan on Facebook and everybody's welcome to join (until September 14 Korean time). 1) I find the signature "Infinitely Yours" absolutely perfect, it would be sad to dump it. 2) Please don't follow other cities and places with a me-too slogan (eg adjective + Seoul).